Both children and their parents need the unique identity number to get admission, receive benefits under the education law. Along the Sagarpur nala (drain) near Uttam Nagar in West Delhi lives a community of grinding stone makers originally from Hardoi, Uttar Pradesh. They say they have lived in the row of shacks along the stormwater drain for over a decade now. But they have no documents to prove this. “No power bill, no ration card or voter identity card for this place, nor an Aadhaar card,” said Kashiprasad, listing the identity papers he did not have. All but three residents of the slum are in this situation. Kashiprasad with other residents of Sagarpur slum. 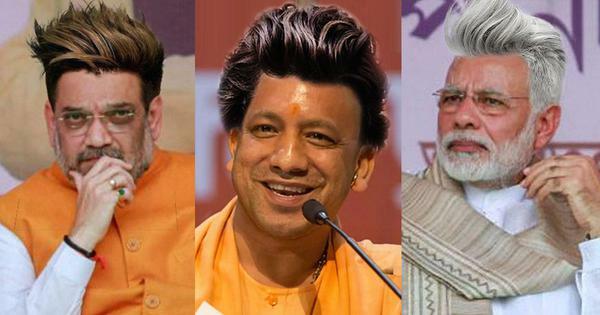 Originally from Hardoi in Uttar Pradesh, none of them have any identity documents. 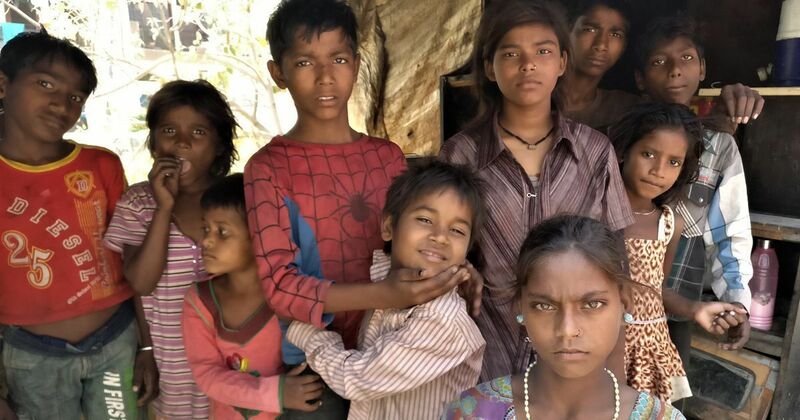 In January, a teacher of a municipal school in the Dwarka area of West Delhi convinced the residents of this slum to send 28 of their children to school. The Right to Education Act, 2009 – which entitles all children between six and 14 years of age to free education – requires that these children be placed in age-appropriate classes, irrespective of whether they have been to school before. So, they are now attending a special training centre for out-of-school children at the Vashisht Park municipal school. This will help get them up to speed for regular school. But, there are more hurdles in their way. Till they enrol for Aadhaar and get Aadhaar-linked bank accounts, they will not receive the Rs 500 they are entitled to for a school uniform or the Rs 120 for a school bag and cap. Also, the Vashisht Park municipal school, like all municipal schools, is only up till Class 5. For children old enough to join the regular government schools that start at Class 6 – admissions for which begin on April 17 – getting in might be impossible because the Delhi government has made Aadhaar mandatory for admissions this year. Last year, staff of both Delhi government and municipal schools – which operate over 2,700 schools between them – had informed their respective education departments about the lack of identity papers. 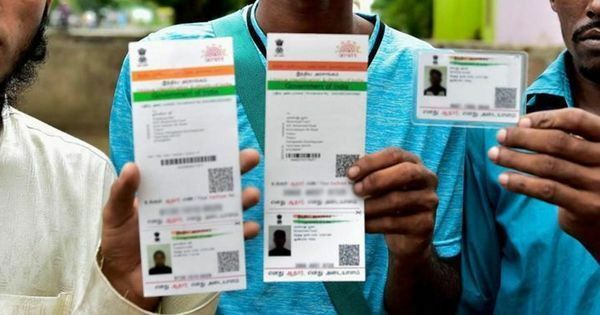 In July, the Directorate of Education told them that the Unique Identification Authority of India – the agency that issues Aadhaar numbers – had allowed school principals to introduce students who did not have any identity paper beyond the one issued by the school. The school identity card and a signed and stamped letter from the head of the school could be treated as “valid proof for identity and address in case of students” for Aadhaar enrolment. Both the school identity card and letter had to bear the child’s photograph and address. But even that did not solve the problem of many children. Obtaining an Aadhaar number is just one step. Children also need to open bank accounts and for that, their parents, too, need Aadhaar numbers. Even though schools are not authorised to introduce parents for Aadhaar enrolment under the rules, municipal school teachers found themselves filling up forms, affixing photographs and negotiating the process of enrolment for parents. “The banks ask for Aadhaar from parents to open an account for their children, especially if they are under 10 years old,” explained the teacher from the school in Dwarka, who did not wish to be identified. The insistance on Aadhaar by schools and their lack of identity documents have made parents doubly insecure. The residents of Sagarpur slum, who have been evicted several times, are desperate for a pehchaan patra that, they feel, would buttress their claim to the spot they occupy by the stormwater drain. They have visited several Aadhaar enrolment centres, sometimes accompanied by members of non-governmental organisations. “A couple of times, they took our photos,” said Reshma, whose daughter, Neha, has joined Class I at the Vashisht Park municipal school. “Other times, they refused because we have no documents.” None received an Aadhaar number. The teachers have even approached police officials, hoping they would agree to be Aadhaar introducers for parents, but without success. Consequently, even if the children manage to get Aadhaar cards, their uniform money and scholarships would be held up till their parents get the unique 12-digit number. In the Sagarpur slum, three residents have Aadhaar numbers. The son and daughter-in-law of Kashiprasad are among them. Their papers, however, bear a Paschimpura address. 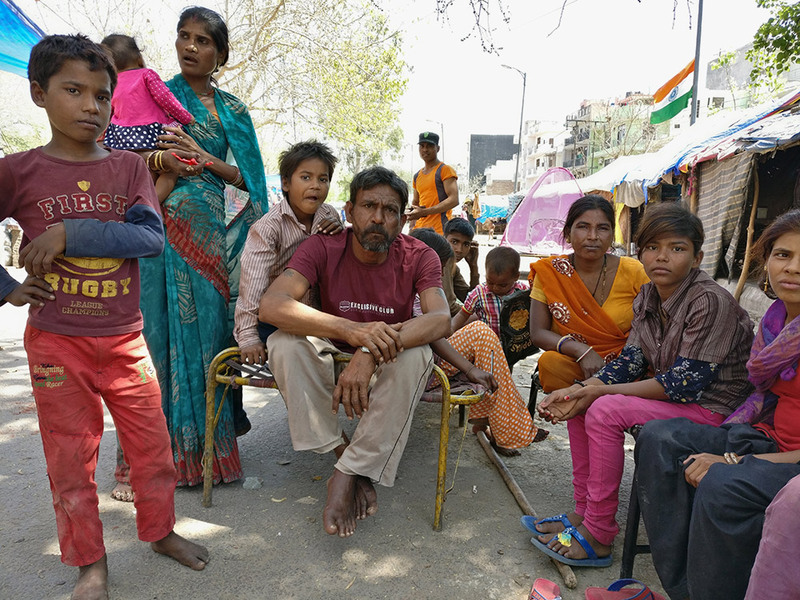 “We have relatives there and they let my son and daughter-in-law use their electricity bills and other documents [for Aadhaar enrolment],” Kashiprasad said. The third person to own an Aadhaar number is Ramu, whose three children – Hritik, Shivam and Damini – joined school this year. The date of birth on his document is in the late 1990s, though he is clearly older. And the address is of a plot in Dabri, near Dwarka. However, the school records of his children, based on which the principal will introduce them for Aadhaar enrolment, have Sagarpur as their place of residence. The teacher fears this discrepancy may lead to more trouble. 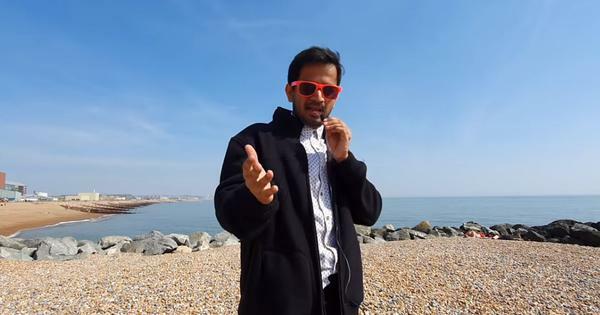 “The banks are sure to notice the difference between the two addresses,” he said unhappily. Ramu has an Aadhaar number – one of only three in Sagarpur – and his children started school in January. For teachers like him, the process of enrolling just the children is difficult enough. He has managed to get 17 children from another slum area in Sulahkul Vihar enrolled and is working on another lot living in Kabadi Basti (garbage colony). The date and time-stamped Aadhaar application receipts, crucial for completing the online process to generate the unique identification numbers, are frequently lost. Children enter wrong birth dates and addresses. They make spelling mistakes while writing down their names or those of their parents. “This creates massive problems for us because their biometric data is already entered,” said the teacher. The teacher said he has “been banned by the local branch” of a bank for going there often and demanding they open accounts for children. Such tenacity is necessary. Apart from the regular funds children receive under the education law, all scholarship schemes are now linked to Aadhaar. 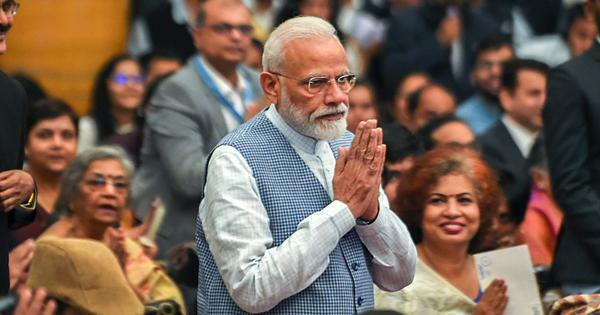 As are Sarva Shiksha Abhiyan – the government’s flagship programme for universal elementary education that is also geared toward implementing the Right to Education Act – and the mid-day meal programme. 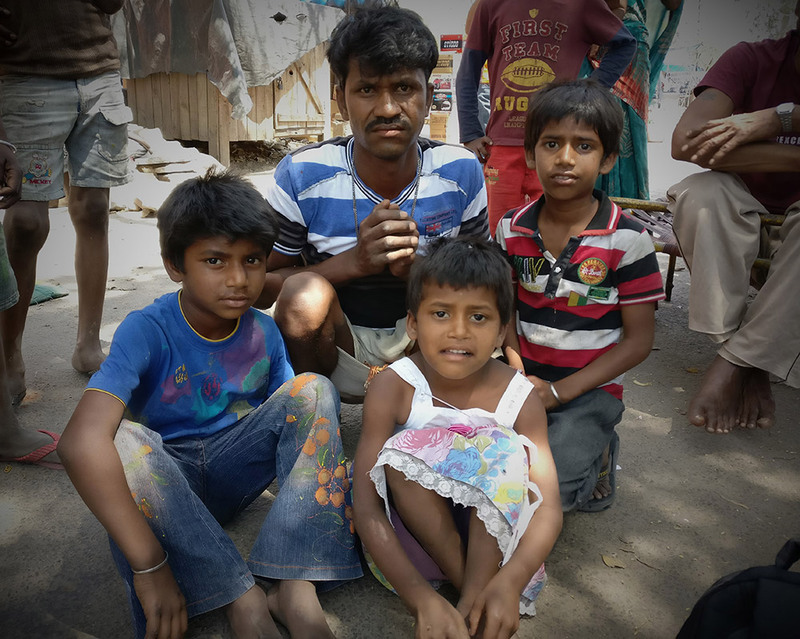 If the Aadhaar numbers do not come in time and his three children are denied their mid-day meals, Ramu said he would stop sending them to school. These daily lunches are one of the main reasons why most poor parents send their children to school in the first place. At the Sagarpur slum, children store their tiffin boxes with the rest of their school gear in the safest parts of their makeshift homes. For Neha, this spot is inside her family’s box-bed. 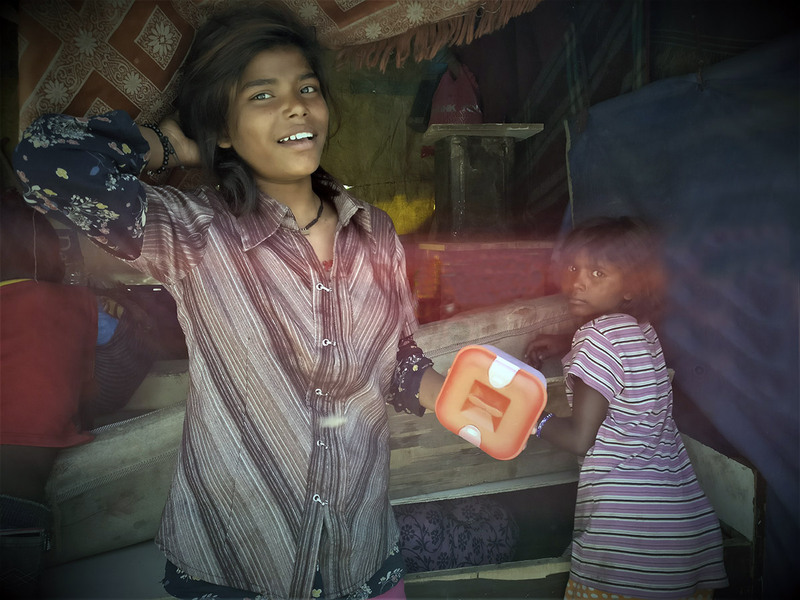 Neha keeps her tiffin box, in which her mid-day meal is served, in her family's box-bed – the safest spot in her makeshift home. In March, a Central government notification said that schoolchildren will not be served mid-day meals from June if they cannot present their Aadhaar numbers. Officials of the Directorate of Education, however, said none would be denied meals for not possessing Aadhaar. 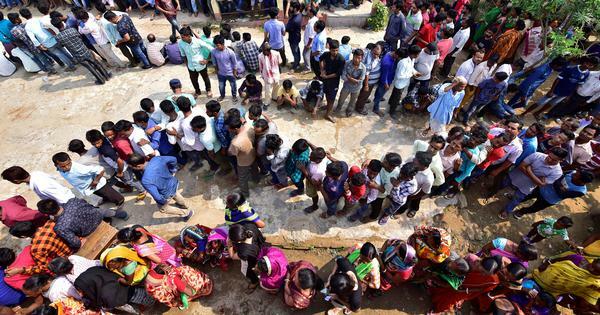 No teacher, parent or student, at government or municipal schools, said schools were demanding to see Aadhaar papers or application slips before serving the meals. All photographs courtesy Shreya Roy Chowdhury. This is the second part in a series on the impact of the Delhi government’s decision to make Aadhaar mandatory in schools.